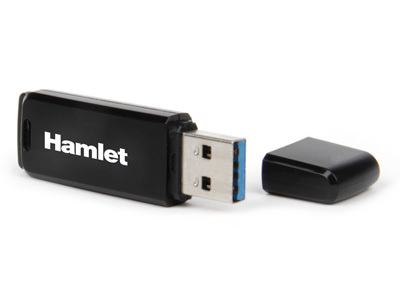 Zelig Pen USB 3.0 is the new Hamlet flash memory with USB 3.0 interface. Thanks to the extraordinary speed and a data transfer rate up to 5 Gbps you can move music, photos and video from one computer to another in seconds. Zelig Pen USB 3.0 is fully Plug & Play and is recognized automatically by the system as an external storage device.